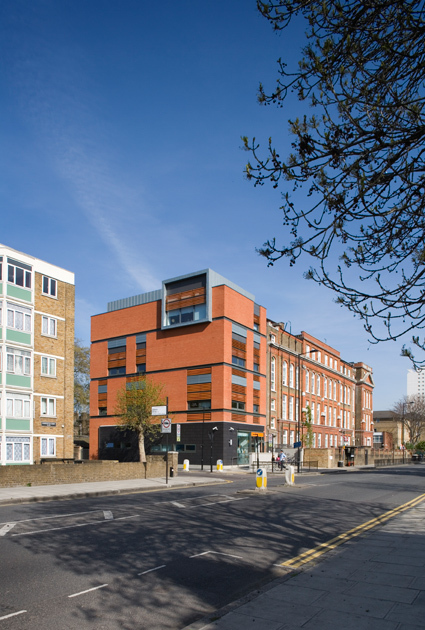 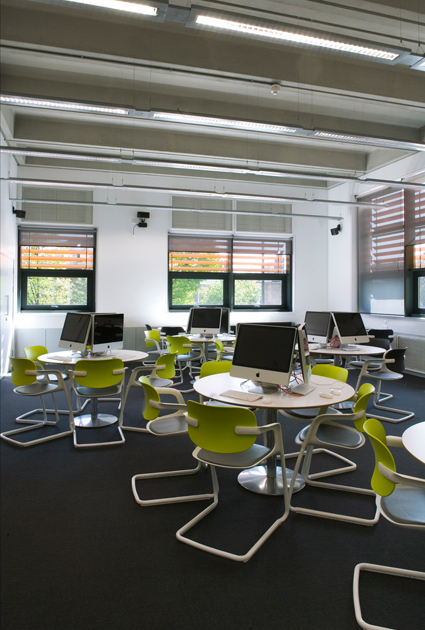 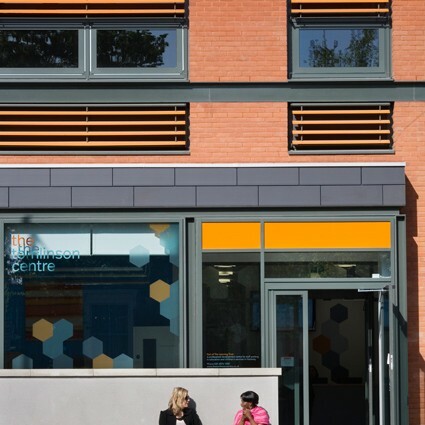 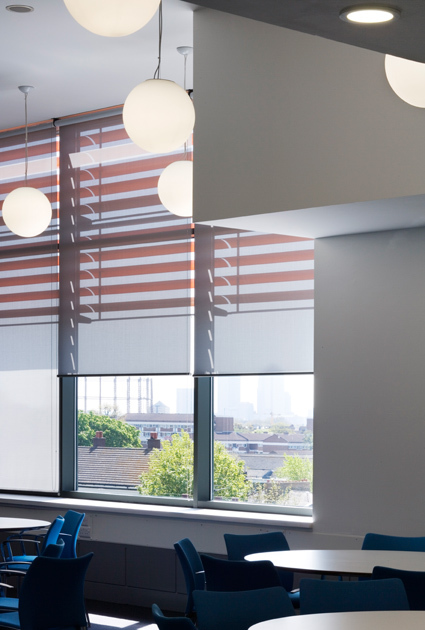 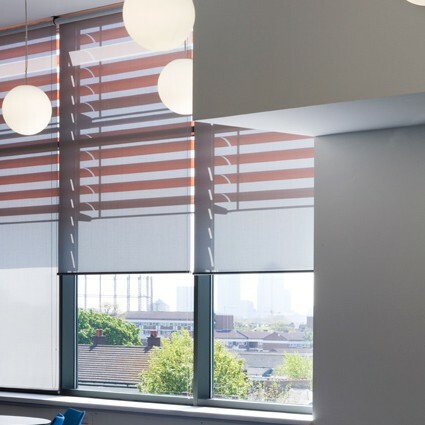 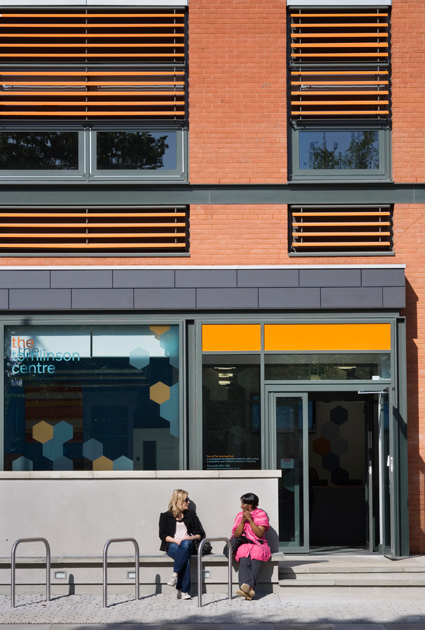 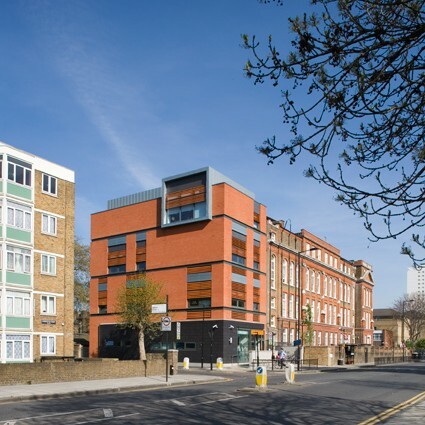 The new professional development centre for education staff across the borough of Hackney provides 2,060sqm of state-of-the-art training facilities. 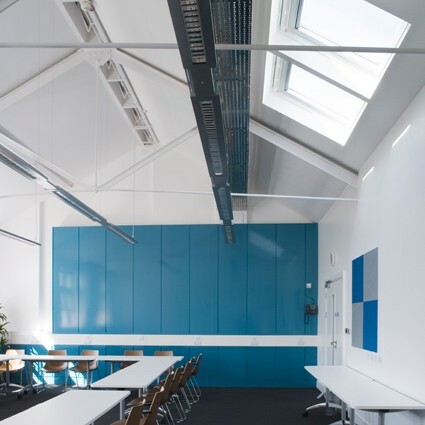 A new building links to re-modelled accommodation on the top two floors of a Victorian board school and provides eight training rooms, a 100 seat conferencing suite, ICT training rooms, cafe and offices. 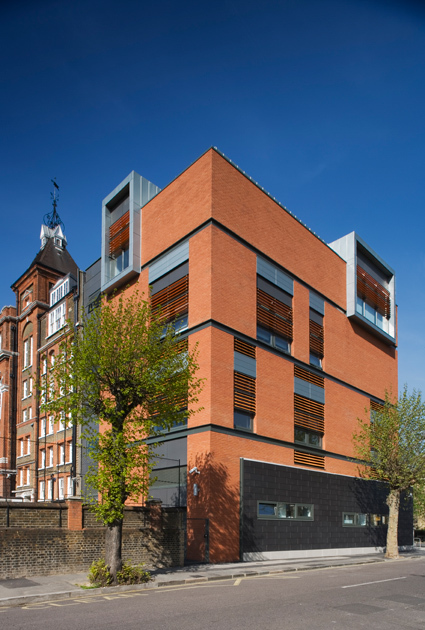 The building sympathetically completes the school building whilst expressing its own modern identity with bold brick panels modulated by strong horizontal banding. 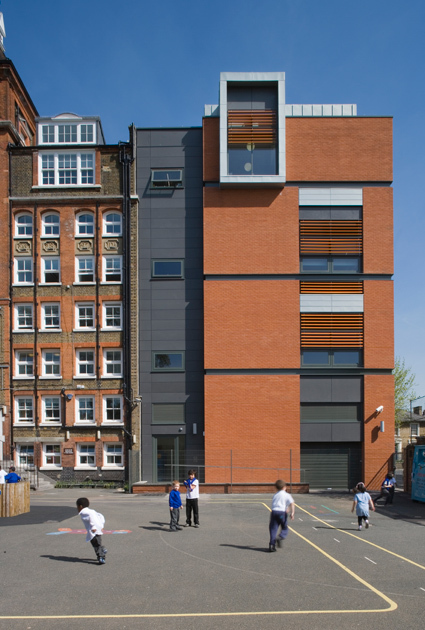 A zinc-clad roof structure emerges above with large, crisp dormer windows echoing the rich, quirky roof-scape of the existing building. 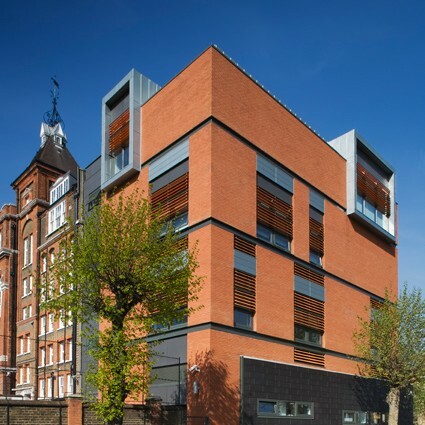 Openings are set within generous deep reveals with solar shading fixed flush to the plane of the brickwork. 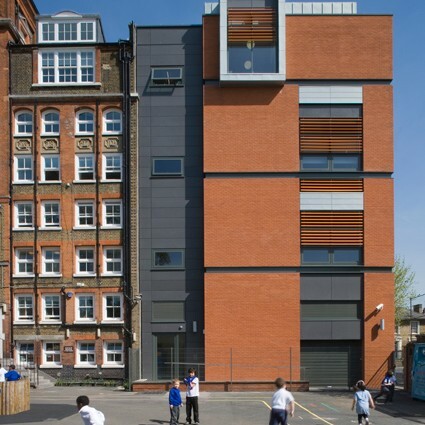 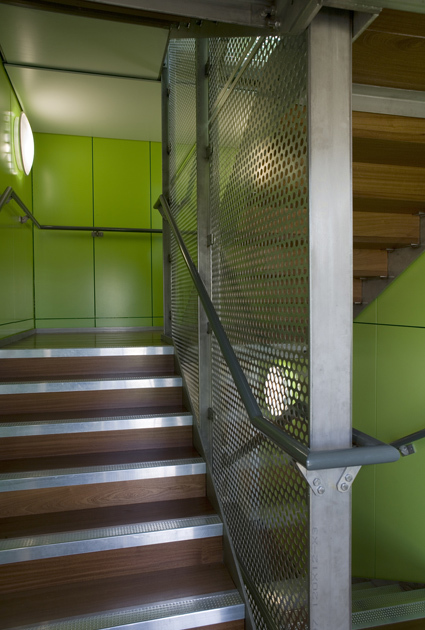 Openable windows and louvred panels provide natural and passive ventilation with acoustic baffles to attenuate the sound from the adjacent roads and playground. 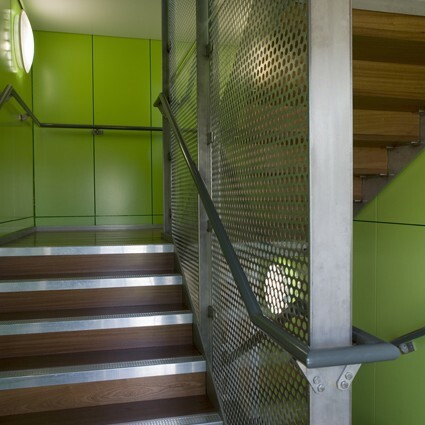 The in-situ, coffered, concrete frame is left exposed in the main spaces of the new building in order to provide thermal mass for radiant cooling. 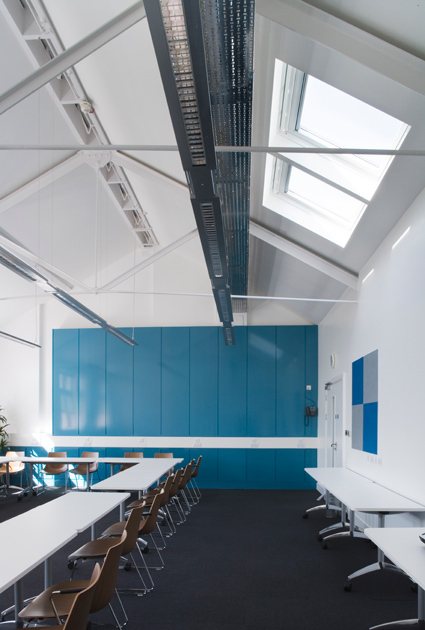 "I am extremely pleased and proud with the outcome both in terms of the quality of internal finish and external design."